Say what you will about Tom Cruise, his movies are usually pretty entertaining. Most recently, we enjoyed the latest in the Mission Impossible franchise and are actually looking forward to more. 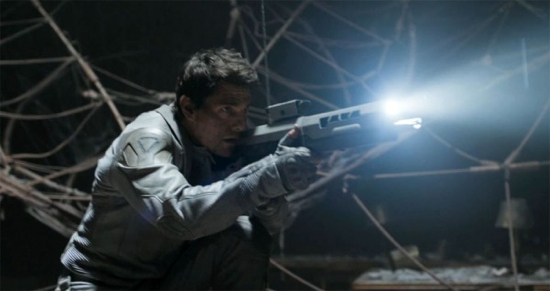 Next up for Cruise is the sci-fi action extravaganza Oblivion. In the film Cruise plays one of the last humans on earth after an alien war devastates the planet. After rescuing a beautiful stranger from a downed spacecraft, he stumbles upon survivors of the war who paint a much different picture of Earth’s past. . . and its future. The film is directed by by Tron: Legacy‘s Joseph Kosinski and also stars Morgan Freeman, Olga Kurylenko, Melissa Leo, Zoe Bell and Andrea Riseborough. Look for it to arrive on April 19th. Great news for Jams Bond fans everywhere. Deadline is reporting that a deal has been made and beleaguered studio MGM has announced a new Bond film, dubbed Bond 23, is set to go into production later this year with an eye to a November 9th, 2012 release. In more good news, Daniel Craig will be returning as the legendary British secret agent, with Sam Mendes directing a screenplay written by Neal Purvis, Robert Wade and John Logan. That script is being kept under wraps, of course, but we do know the story begins after the events of Quantum Of Solace. In addition, there’s no word on who might play the next Bond villain or, in more important news, who will be the next “Bond Girl.” While those are being hashed out I would also like to recommend to Sam Mendes that he give Felix Leiter a bit more to do this time around as I would like to see Jeffrey Wright keep getting work. Also, I would not mind if Olga Kurylenko came back for this one either. She’s always welcome. Of course, given Daniel Craig’s “friendship” with Rachel Weisz, there’s always a chance she might make an appearance. That would be ok with me as well. We probably won’t see Kate Winslet in this one though, for obvious reasons. 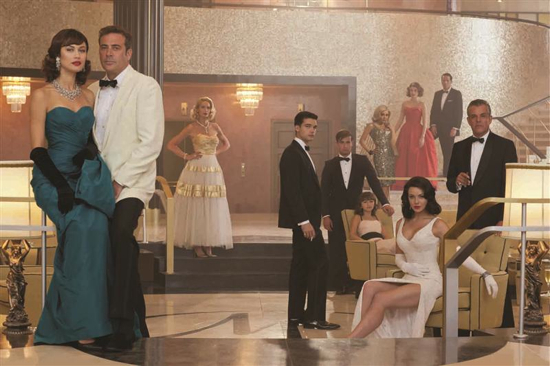 As for other villains or Bond Girls, who would you like to see make an appearance in Bond 23? I’ve been following this film for quite some time and, in fact, saw an early cut of it during the recent SXSW Film Festival in Austin, TX. Without revealing too much I can say I thoroughly enjoyed Neil Marshall’s Centurion and am pleased to be able to bring you a brand new “Red Band” trailer for the film today. In this new trailer you get a chance to see what the film is about. It’s a violent look at life as a soldier in ancient Rome as well as an adventurous tale of revenge and survival. It also features some great battle scenes and lots of fun swordplay. The film itself follows Quintus, sole survivor of a Pictish raid on a Roman frontier fort, who marches north with General Virilus’ legendary Ninth Legion, under orders to wipe the Picts from the face of the earth and destroy their leader Gorlacon. Expect a full review closer to release. Until then, be sure to check out the awesome trailer after the jump. Centurion, which features Michael Fassbender, Dominic West, David Morrissey and Olga Kurylenko, premieres on VOD, XBOX and Amazon.com on July 23 and opens in theaters August 27, 2010.